Periodontics – Your Best Offense is a Good Defense! Do you suspect that you have periodontal disease? The good news is that, if you do, the sooner you treat it, the better. The early stage of gum disease is called gingivitis. If you have gingivitis, your gums may become red, swollen and bleed easily. At this stage, the disease is still reversible, and can usually be eliminated by a professional cleaning, followed by daily brushing and flossing. Periodontitis, a severe form of gum disease, doesn’t just cause soft-tissue inflammation and bleeding. It also destroys the bone that supports the teeth. If it progresses unchecked, it can lead to tooth loss, and is even associated with systemic inflammatory conditions like atherosclerosis and rheumatoid arthritis. Dr. Cancelliere or one of our hygienists can diagnose this disease during a periodontal examination, which is an important part of your regular, routine dental checkups..
A small dental instrument called a periodontal probe is used to measure the space (sulcus) between the teeth and the gums. A healthy sulcus should measure three millimeters or less, and it should not bleed. The probe will indicate if the spaces are deeper than three millimeters. Deeper pockets typically indicate a more advanced stage of the disease. In addition to measuring the sulcus, Dr. Cancelliere will check for inflammation, tooth mobility, and other signs that will help in making a diagnosis or either; Gingivitis, Periodontitis, or, Advanced Periodontitis. If scaling and root planning does not clear up the problem, periodontal surgery may be necessary to get the pockets back to a normal size. Reducing the pocket size makes keeping your teeth clean much easier, and Dr. Cancelliere may recommend that you see a specialist in this field. If plaque is not removed within 24 hours after it forms on your teeth, it turns into tartar. 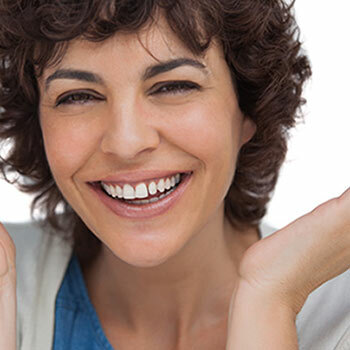 Regular home dental care helps prevent the formation of plaque and tartar, but hard-to-reach places need to be cleaned regularly by Dr. Cancelliere to ensure all plaque build up is removed. What is maintenance for Periodontal Health? After receiving treatment for periodontal disease, it’s very important to receive regular maintenance cleanings. These cleanings will provide Drs. Cancelliere the perfect opportunity to check the sulcus and ensure that your teeth and gums are healthy. Plaque and tartar that haven’t been removed by your daily cleaning efforts will be taken care of during this cleaning. You should schedule these check ups about four times a year.